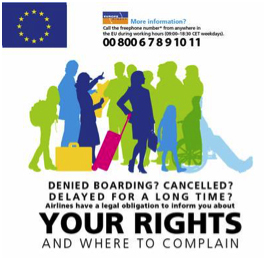 Following summary refers to http://europa.eu/youreurope/citizens/travel/passenger-rights/air/index_en.htm and informs you on your rights as passengers. If you would like to have more information or find out the list of national authorities responsible for the application of the rights; please visit following website: apr.europa.eu. This website also provides complain templates which can be used to send to your airlines or national authorities if the airline is not responding. • arriving in the EU with an EU carrier or with a carrier from Iceland, Norway or Switzerland. • having your ticket refunded and, where relevant, being returned free of charge to your initial departure point. Long delays – if your flight is delayed by 5 hours or more, you are also entitled to a refund (But if you accept a refund, the airline does not have to provide any further onward travel or assistance). If the carrier offers you an alternative flight with a similar schedule, the compensation may be reduced by 50%. • you were offered an alternative for the same route with a similar schedule to the original one. 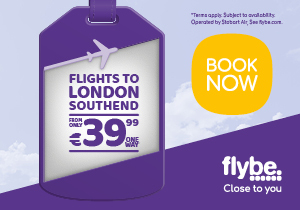 • rebooking at a later date of your choice (subject to seat availability). Submit an air passenger rights EU complaint form to your airline – and make sure you keep a copy for yourself. If this doesn’t work, or you aren’t satisfied with the reply, you can complain to the national enforcement body in the EU country where the incident took place. Exception – if damage is caused by an inherent defect in the baggage itself. If you are travelling with expensive items, you might be able – for a fee – to obtain a compensation limit higher than EUR 1 220 by making a special advance declaration to the airline – at the latest when you check in. Though the best thing is really to take out private travel insurance. When you book a flight online, the total price of the ticket – including all compulsory elements such as taxes and charges – must be visible from the start, so you can compare prices across airlines and make an informed choice.